Experts at "A1 Carpet Clean" - We put a lot of time and effort into keeping our homes beautiful. If something is dirty, we clean it. Right? But how do we know how to clean something not visible to the eye? Have you ever woken up with itchy red eyes, sinus pain, or sneezing? Are you experiencing recently developed asthma, eczema, hay fever or bronchitis? These are all symptoms typical of dust mite infestation. 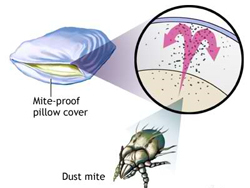 Dust mites feed on the dead skin cells that human beings shed every day, and leaving behind their excrement. 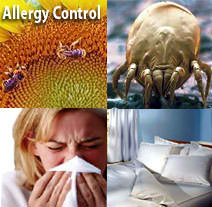 This is the cause of many allergy-like symptoms. 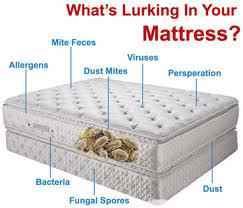 We shed thousands of skin cells every day, most of them in our mattress. But don’t despair. "A1 Carpet Clean" has developed a natural, organic, chemical-free process that effectively destroys dust mites, bacteria, spores, allergens, dust, and decaying skin cells. Firstly, "A1 Carpet Clean" loosen particles of dirt, dust and excrement embedded within your mattress with high frequency waves. The waste is then removed with a special high-powered vacuum, specifically designed to trap 99.97% of everything it collects.